KnowCo offers a range of specialist software and consulting solutions that support financial institutions across the governance, risk and compliance spectrum. We build, deliver and support software applications which facilitate both regulatory compliance and the broader targets of the bank’s business plan. KnowCo’s solutions grow with our clients. And by building-in compliance, we help institutions better navigate the turbulent waters of regulatory change. If your expected credit loss parameters, and all of the attendant exposure data, still live in spreadsheets, there is an affordable, safer, more secure solution. 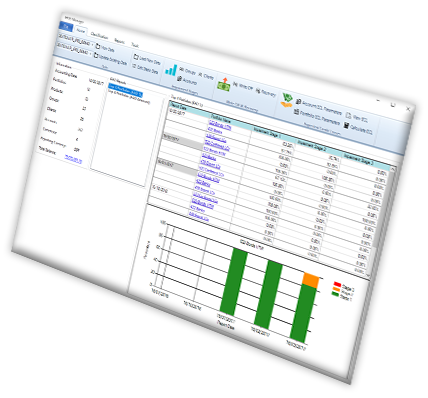 Reducing reliance on user-developed spreadsheets by storing data, scenarios and outputs securely in a controlled environment. Streamlined and able to integrate data from across the organisation. Superior quality of data unlocking greater financial insight. Can be configured to align with broader needs of the bank. Moves away from manual approaches which are labour intensive and not fit for purpose. Potential for unlimited number of scenarios. Reduces workload; real time reporting. Easy integration with existing systems. KnowCo’s technical and reporting solution for IFRS9. Best practice funds transfer pricing built-in. Stress-testing liquidity risk, IRRBB and credit risk capital. Asset & Liability Management – modelling the future balance sheet under a range of scenarios. Have any questions regarding our services? KnowCo provides Governance, Risk, Compliance and Assurance support to financial institutions in the UK, Europe, the Middle East and Africa. Our value proposition is based on a combination of regulatory and technical subject-matter expertise, and pragmatic, proportionate delivery and implementation skills.